We pray that something was stirred up in you to be Kingdom Minded! Feel free to e-mail us at KingdomMindedRadio@Gmail.com if you have any questions or requests. We'll add a little more info here later. So stop back by. We hope you were inspired to be Kingdom Minded! Ambasassador's new album, "Stop The Funeral" came out last Tuesday and after hearing a preview of it, Amba is back better than ever. We're gearing up for the inDependence Tour featuring K-Drama, D-M.A.U.B., and Yaves the Street Pastor on August 27. We're planning on an outdoor concert starting at 5 pm. We'll keep you posted on where it is taking place. Call us to leave a radio drop, shout out or request a song for next weeks show. Thanks for checking out the playlist. This week we've got a brand new song from Thi'sl, a song off of the Ambassador's new album and we featured a song off of the new Gideonz Army mixtape. Yaves the Street Pastor was our Phat Freestyle of the Week. Feel free to download the show so you can play it on your MP3 player or in your car! We'd like to know if you all would like to see this show as a podcast on iTunes. Let us know by sending us an e-mail, message on Twitter @KingdomMindedRS, or leaving a comment below. Without further ado, here's the playlist for the July 9th Kingdom Minded Show from Peoria, IL. The new album by Thi'sl called "Beautiful Monster" is up on iTunes for preview. This is gonna be a major banger this summer. Check it out and plan on buying it when it comes out so we can catapult him to the top of the charts. This will be a huge witness for the world as it makes a spash in the secular music scene. When "Chronicles of an X-Hustler" came out, it was at the top of the charts for at least a week or two. This new album should do even better. Bless God for artists like Thi'sl that have a heart for the streets. On your marks. Get set...Go click on the picture and give it a listen! July 2 Playlist: Redd Lettaz / AD3 / Vik / S.O / Phanatik! What-a-week! This week we we lift up Christ and celebrate new music that came out last week. There was new music by Viktory, S.O., Phanatik, Redd Lettaz, and Pastor AD3. We're gearing up for The Basement tonight at 6 pm. 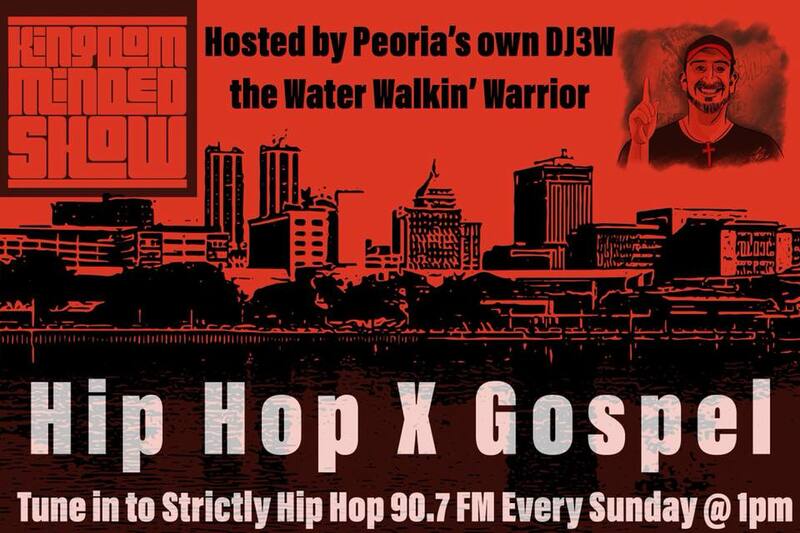 We invite you to come down to the Dream Center Peoria to experience Peoria's hip hop church. Don't forget to put August 27 on your calendar for the inDependency Tour's only stop in Cental Illinois as of right now. We'll be hosting a FREE concert here in Peoria, IL starting at 7 pm. all in the same concert! Don't miss it! Feel free to download our show for free here! Da South commercial - Visit www.DaSouth.com for news, music leaks, and videos. Holy Culture commercial - Visit www.HolyCulture.com for news, a forum, music and videos. Mr. ENC ft. eshon burgundy - Let's Get Down (Single) Buy It Here Song & TShirt Proceeds go to TrashMountain.com!